The winter holidays are approaching fast, and with them come possible complications of post-divorce families. Disagreements may arise if the divorcing parents were unable to agree on how, when and where their child (or children) will be spending their winter holidays. It is vital to understand where the state law stands on shared parental responsibility and how that may affect holidays in the years to come. In the state of Florida, the law supports shared parental responsibility, when possible, as the best option to protect a minor child’s wellbeing. Shared parental responsibility, as outlined by Florida state law, when both parents retain their full parental rights and responsibilities. This also means that both parents must be consulted and in agreement on all significant decisions that may affect their child’s (or children’s) welfare. Sometimes the court awards one parent the sole responsibility on specific issues, it all depends on what the court decides is in the best interest of the child. Within the folds of shared parental responsibility is the understanding that divorcing parents are willing to co-parent and share aspects of their child’s life. In Florida, most divorce cases that involve minor children include a Parenting Plans and timesharing schedules. How the parents will carry out the day-to-day responsibilities of the child or children involved. A detailed time-sharing schedule specifies precisely the time the child (or children) will spend with each of their parents. State if the decisions regarding the child’s school, education, and healthcare, will be shared or not. Includes whose home address will be used for the school designation. A breakdown of the technologies and methods via which the parents will communicate with the child (or children). According to Florida state law, a time-sharing schedule is a timetable within the Parenting Plan that usually details when and how long a child spends time with each parent. This schedule must include all overnights that a child spends with each parent. It is preferred that both parents sit down and develop a detailed and specific time-sharing schedule and submit it for approval to the court. In the case that the parents cannot reach an agreement on the parenting plan or the time-sharing schedule, the court will then step in and make a decision on behalf of the parents. Once the court has approved a parenting plan, it will be signed by the judge and will become a court order that both parents are bound by. If parents have a holiday-specific time-sharing schedule, it’s an excellent idea to including all the major holidays and special events such as the child’s birthday, the parent’s birthdays and other significant events in the child’s life. One parent will have the child from school dismissal until the first half of winter break, and the other parent will have the child from the second half of winter break. In this arrangement, the parents alternate on a yearly basis. One parent will have the child for the entire winter break, on all even year, while the other parent will have the child on all odd years. The parents can split the holiday down to Christmas Eve and Christmas Day, or both can opt to spend half of Christmas day with their child (or children). Family courts judges in Florida encourage parents to settle on all issues, especially issues regarding the upbringing of their children. After a settlement agreement is reached and becomes an order of the court, it becomes binding. 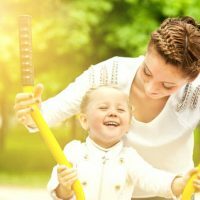 A parent seeking to make changes to an already established parenting plan should try reaching an agreement with the other parent, and once achieved, putting those changes in writing and getting them approved by the court. When the parents cannot reach agreement on modifying what they already agreed to in the past, they can seek court intervention, however, to change a final judgment has its issues and legal burdens that will be discussed later on. If you have questions about your parenting plan or your time-sharing schedule, you can contact our family law attorneys at Arwani Law Firm ,. We have handled complicated high conflict divorces, and we are confident that our team can provide you with the legal assistance and attention that your case requires.